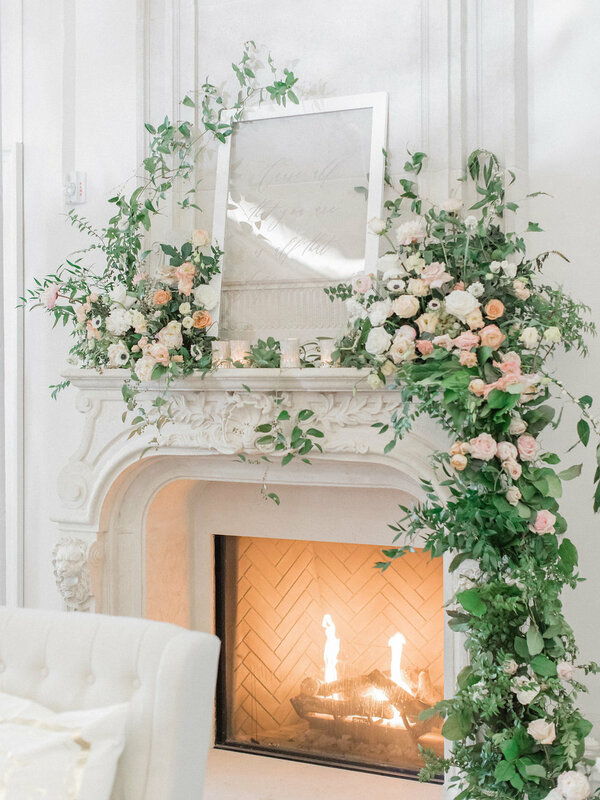 We were so lucky to start our wedding season super early this year...in January! A winter wedding in the Philadelphia area is a tricky thing. If it doesn't snow, there's a good chance that it will be downright COLD. And that's what we got for Lauren & Tyler's wedding at Park Chateau Estate in New Jersey! 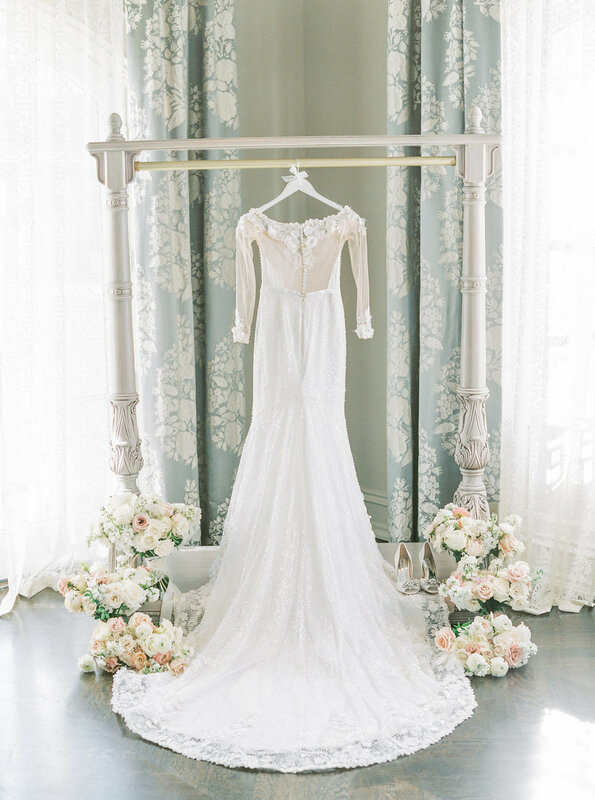 But ohhhh you wouldn't know it by looking at these gorgeous photos by Lauren Fair Photography. These two exuded love and warmth and all the coziness you need on a chilly January day. 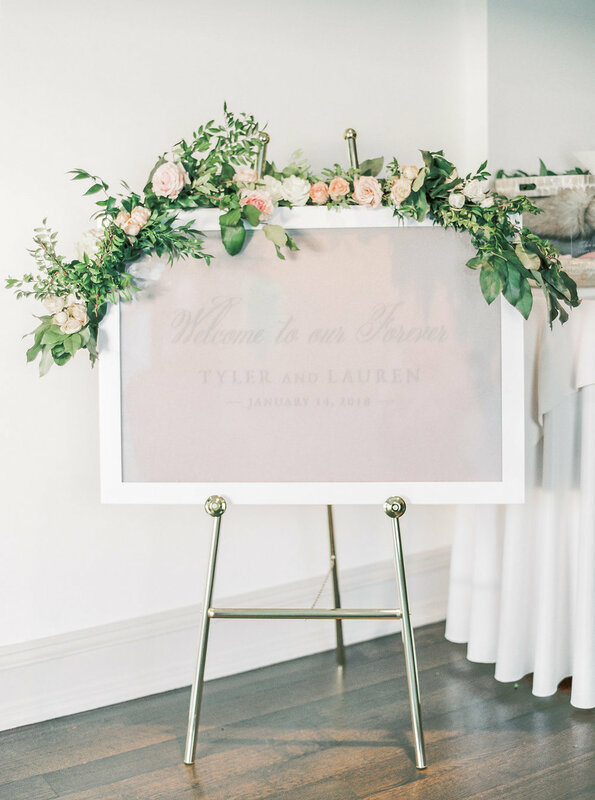 We spent over a year working closely with Lauren on her wedding design plans and logistics. 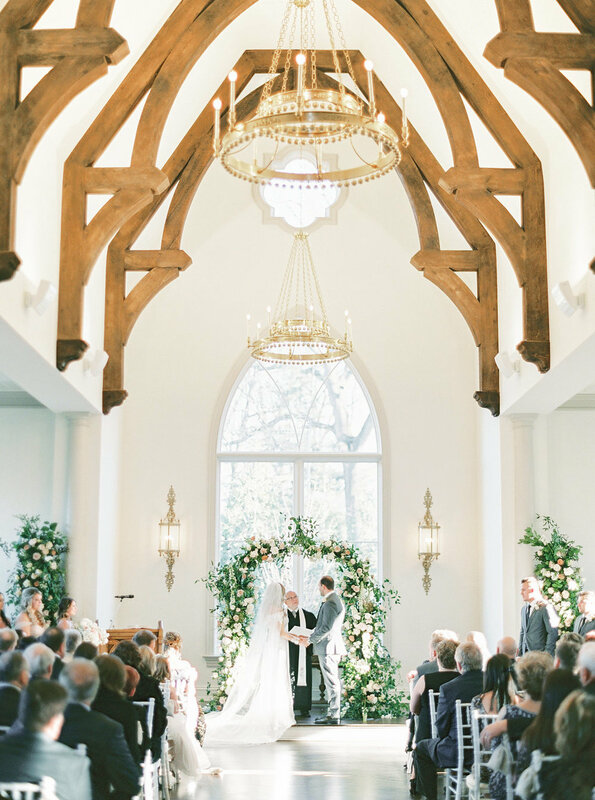 Guests came in from all over to celebrate these two and they wanted to wow them! 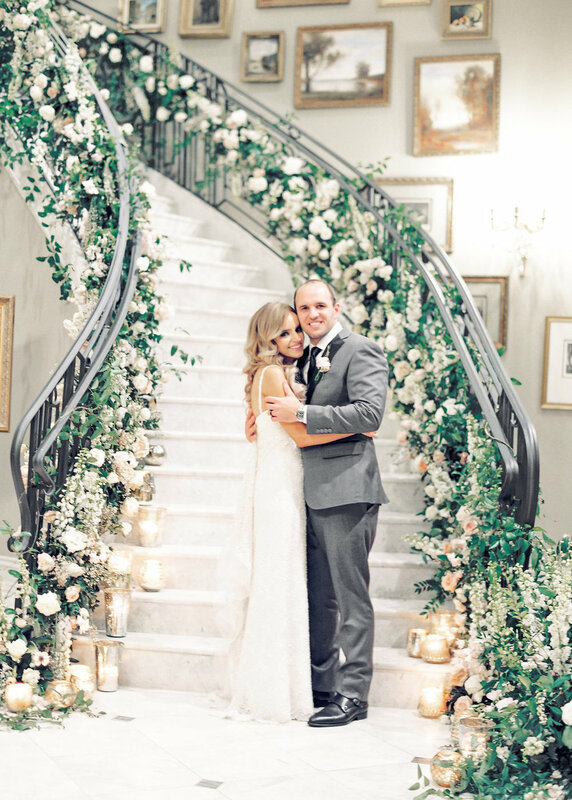 As both their wedding planners and designers, we were able to produce a romantic, floral filled wonderland and keep shuttles running on time. Go team! 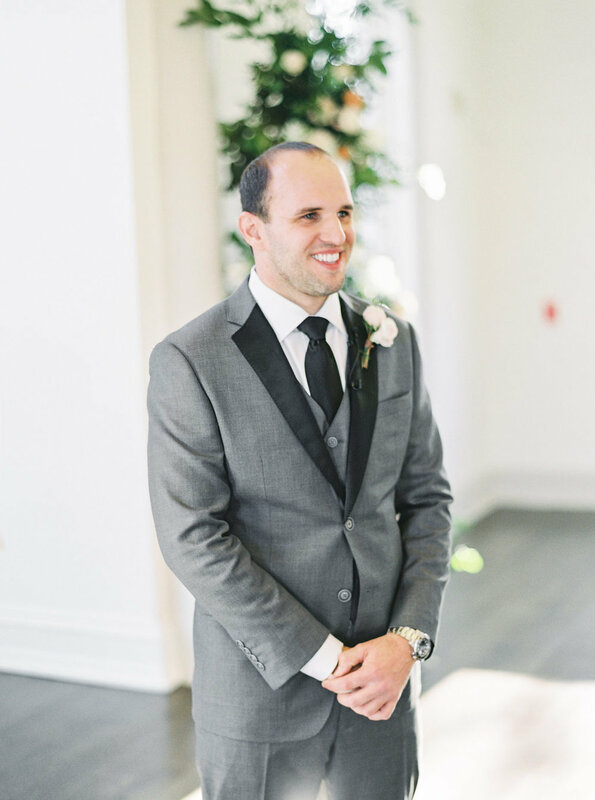 It was our second time at Park Chateau and as Philly based wedding planners, the short jaunt to East Brunswick was easy! 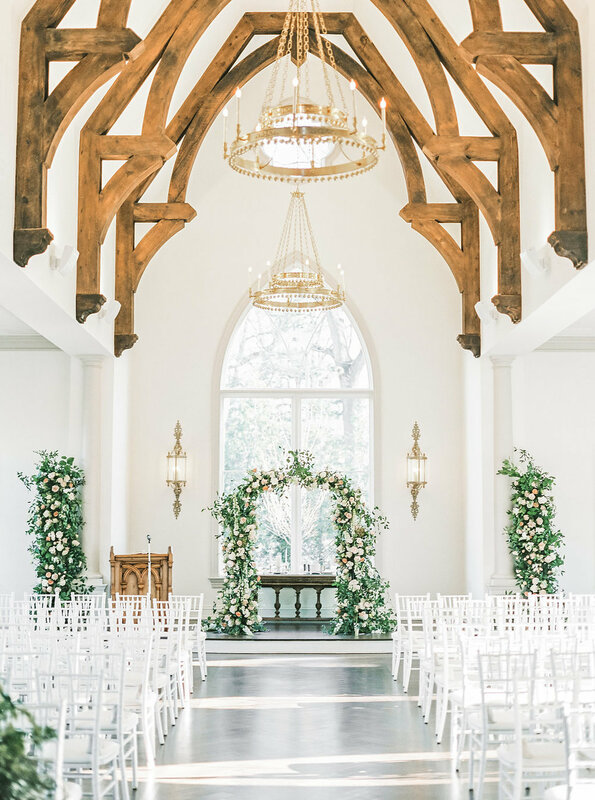 Once you take a look at the white washed wedding chapel, bright natural light-filled ballroom and classic details, you'll understand why we couldn't wait to go back! 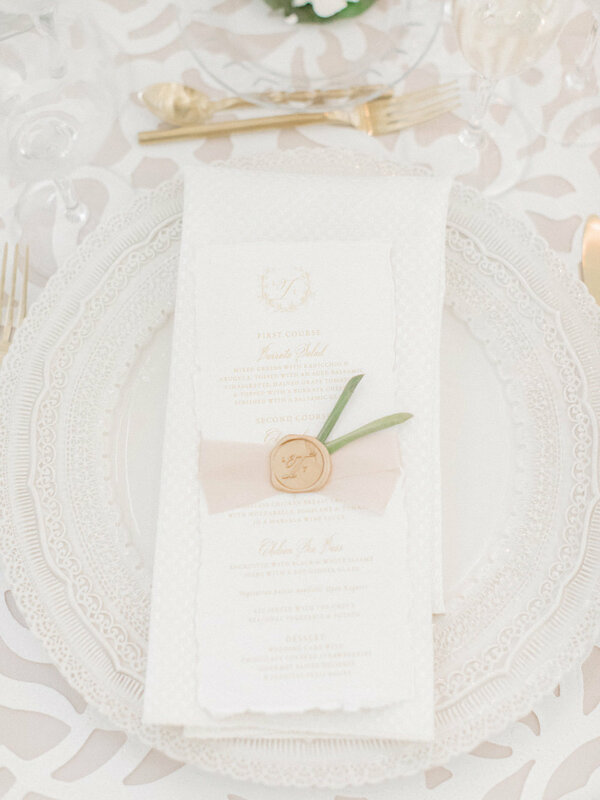 So many details were brought to life with the help of some amazing vendors like stationery from Papertree Studio, linens from Nuage Designs, specialty china and flatware from The Tabletop Company and of course, those show stopping florals by Fresh Designs Flora & Events. We love working with several creative partners to bring our design plans to life. 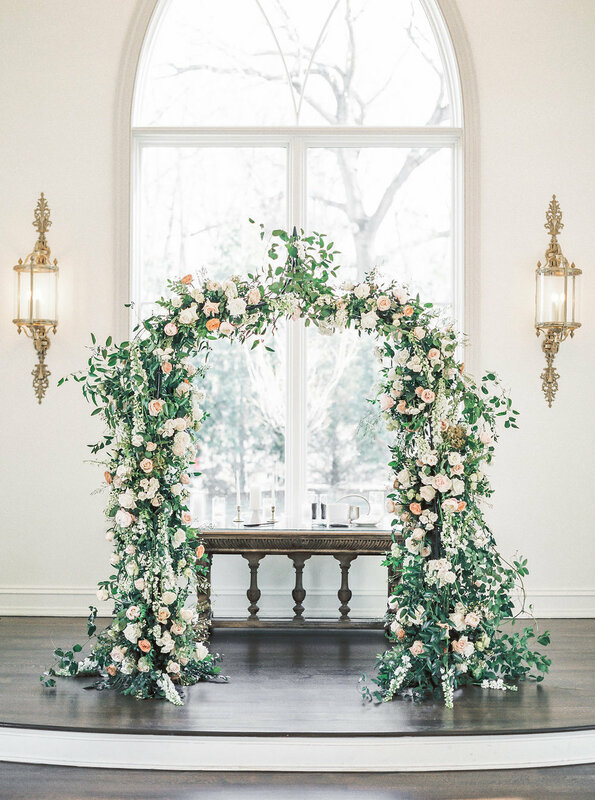 We went full on white & blush botanical in our floral plan with lush blooms in the bridal bouquets and ceremony arch. 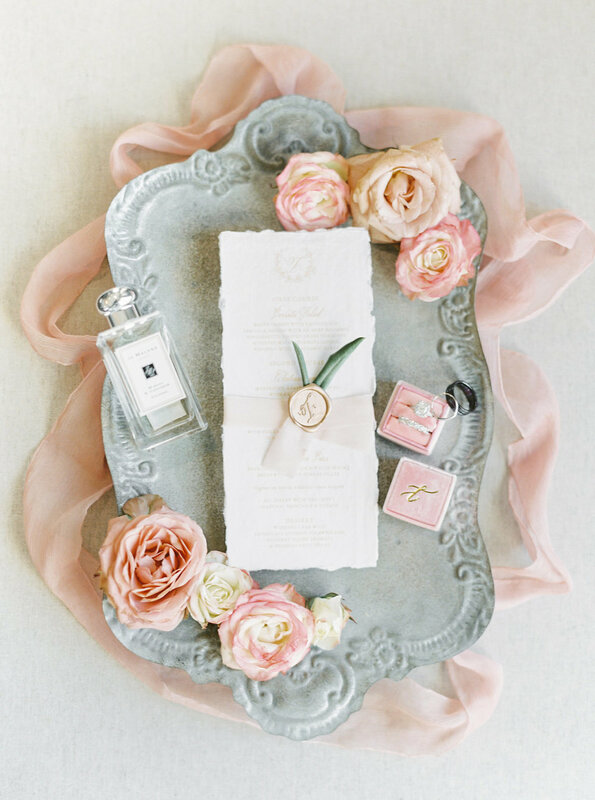 The bridesmaids wore the most flattering shade of pale pink with luxe white fur stoles.